The use of technology has made it undemanding for anyone to find out about anything. Google makes it super easy to look for something, as you have to enter a query keyword and it returns you hundreds and thousands of results found against your query. However, searching with images and for images is not as easy as searching with keywords. Just like me, you also must have gone through a situation where you saw equipment in a newspaper and wanted to know about its details. You inserted the keywords you understood related to that equipment on the search area and pressed the search option. After scrolling for so long and opening different links to gather details of that specific picture, you might end up wasting a lot of your time, and yet you fail to find out any useful information about that image. Due to this limitation, a lot of our time, as well as energy, is wasted. 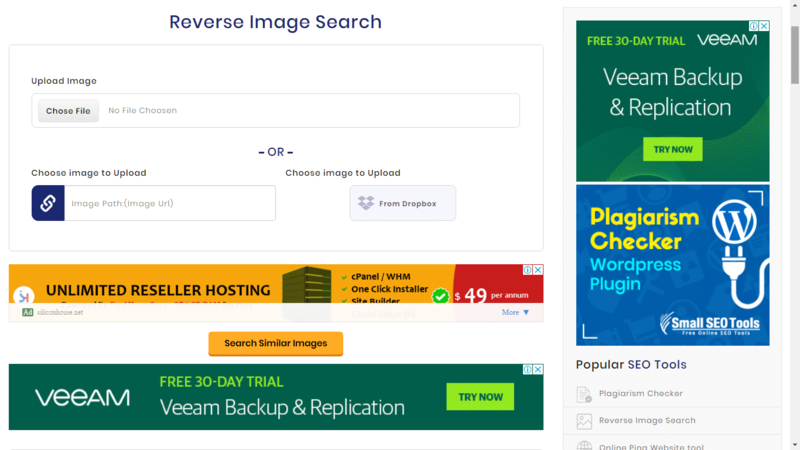 As technology is improving day by day, Reverse Image Search by SearchEngineReports.net tool is now available to your rescue! Reverse Photo Search is a web-based tool, accessible on all OS’s and all browsers. The primary objective of the device is to scan the image you inserted in it and provide you with the results that will be showing you similar pictures. Within seconds after you hit “Search Similar Photos,” reverse image search tool will make the results visible to you. The tool will search that particular image from three search engines; Google, Bing, and Yandex. All the pictures that match with your submitted photo will be accessible with links. You can check the images by clicking the choice provided named check images. It will lead you to that specific source where the image similar to your picture is posted. How can you use the Image Search? There are so many ways through which you can get the advantage of using the tool. Reverse photo search provides you with sources of all the similar images matching your query image, allowing you to find out all the details related to that particular image. So if you are an owner of a firm or have a website, then it is hard for you to work and come up with different edited images. There are chances that anyone can copy or can use the same image as their own so you can see if someone else is using your picture. Through it, you can make sure the images on your site are unique and not being stolen, which will lead to more traffic to your site. You also by knowing about the person who is posting your content by reverse image search, you can send him an email regarding copyrights and can even take him to court. Everyone has a social account these days, on Twitter, Instagram, Facebook, and many other social networking sites. Posting your images is very trending. But saving that image is also not a hard thing to do, and anyone can easily do that. Therefore, you never know, who is manipulating your data or if someone has made an account using your pictures, due to millions of reports on each site it is impossible to open up and see every account. By merely uploading the image in reverse image search, you can ensure your privacy. Moreover, if you like a picture of a celebrity or some food and have no idea about the name of the star or the recipe, then simply inserting it in the reverse image search you can know the title as well as the details of the. The tool is uncomplicated to use so everyone can easily access and use it. You can upload the image or enter the URL for the picture. A single click can lead you to all the in-depth information. Similar photo search does not save your pictures on any database as it respects your privacy. So if you want to keep your confidentiality updated and want details regarding an image, then Reverse Image Search by SearchEngineReports is the best application for you.